As a competitive paintball retailer, we offer a wide-range of rental packages to best fit your shooting style. Choose between our premiere arsenal and accessory packages, and receive FREE CO2 refills for the entire day. So, bring your own gear or use ours! Whichever you choose, our customer-oriented staff is prepared to make sure you have everything you need to rule the field. Right here at Splatball, our company is prepared to offer our games to teams approximately 150 players desiring the greatest showdown. Open 1 week every week, our paintball store provides cost-effective reservation prices for sets of 8 . Each and every booking features a celebration variety operating as the game?s referee, and all sorts of Day time activity enjoy. Single walk-ons trying to examination their skills are welcomed around the weekends. Because of the interesting Mother Nature in the activity, Splatball will take satisfaction within our attention to the safety of our consumers. Each booking includes a safety orientation conference, and all sorts of participants are required to wear safety-controlled headgear. 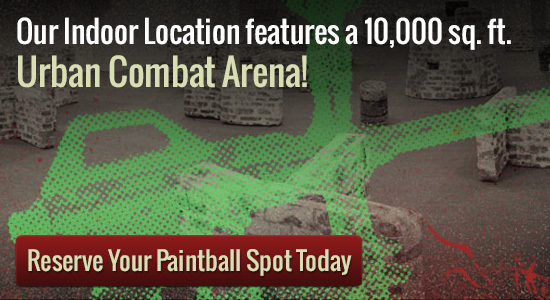 Splatball is the Minneapolis/Twin Cities choice destination for paintball enthusiasts able to master the area. Paintball is really a heart-pounding, struggle approach game, developed of 2 or more crews. Each participant is going to be furnished with an air-compressed gun full of a cartridge of paintballs to decimate your goal with. Nail your opponent having a properly-aimed shot and direct your group to victory until no foes stay. Whatever your adrenaline craves, our paintball retailer has it for you.